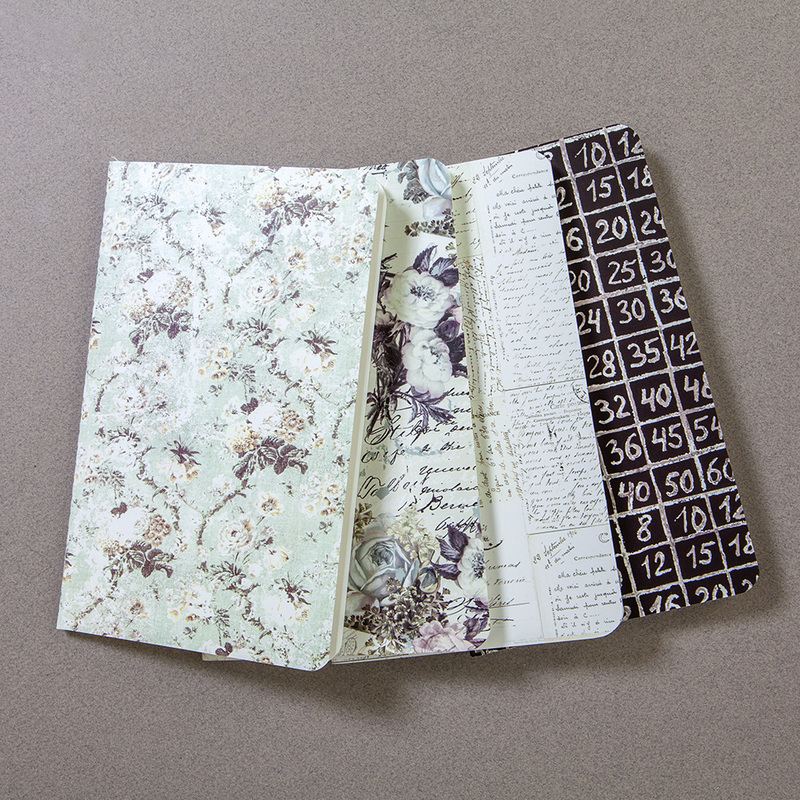 Our Personal size travelers journal is Vintage Floral #599690 and the passport size is Minty Dreams #599706. Our refillable notebooks makes it easy to fill up your travelers journal in style and gives you the ability to have a collection that all matches and looks amazing inside your journal. 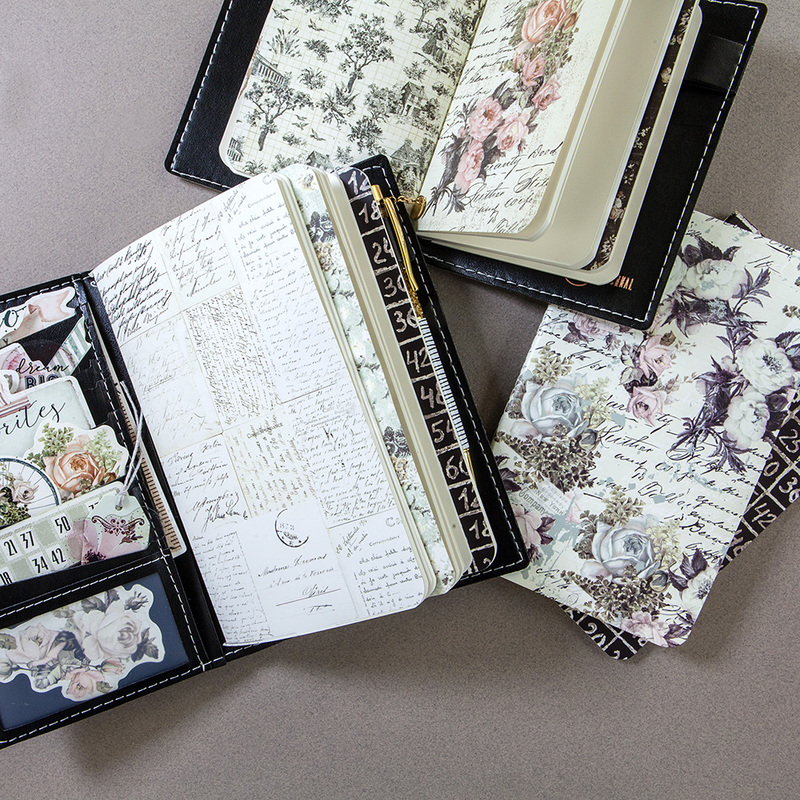 This collection has 4 refillable notebooks available for individual purchase in each size with beautiful vintage floral patterns on the outside. The inserts all have off white blank paper in them. 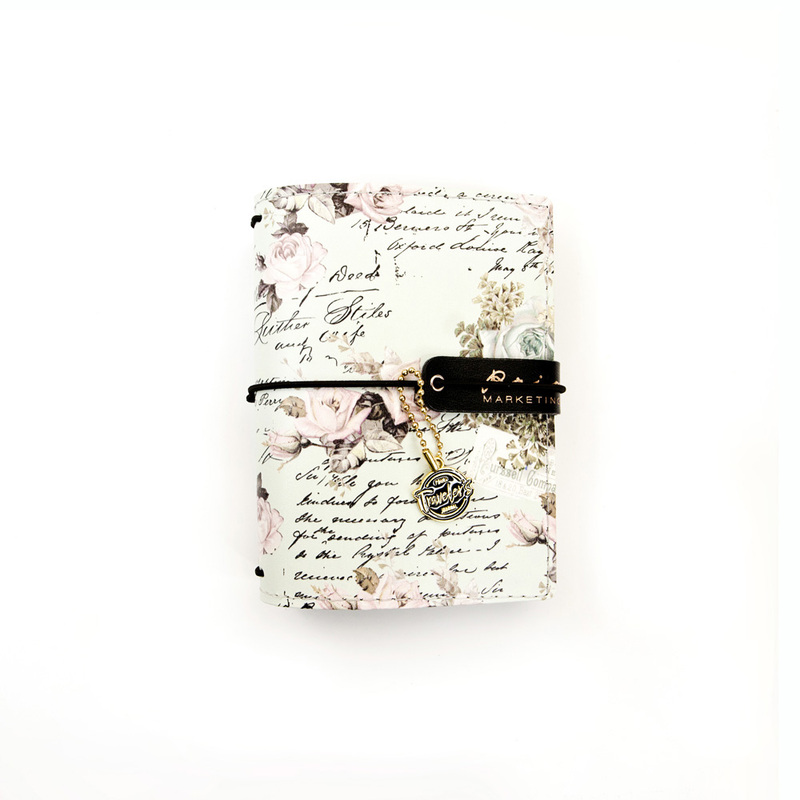 With the matching accessories made for this collection you are able to set up your travelers journal with ease. We have the matching notebooks, 12 x 12 papers, ephemera packs, stickers and ephemera pack together as well as washi tapes. Hope you enjoyed seeing a closer look at our new Vintage Floral Collection. Remember to follow us on Instagram to get more inspiration with our Travelers Journals.